Last fall, I had the pleasure of photographing Carolyn + Prescott’s adorable, rustic, autumnal Strawberry Farms wedding! It was one of the highlights of 2011 for sure! 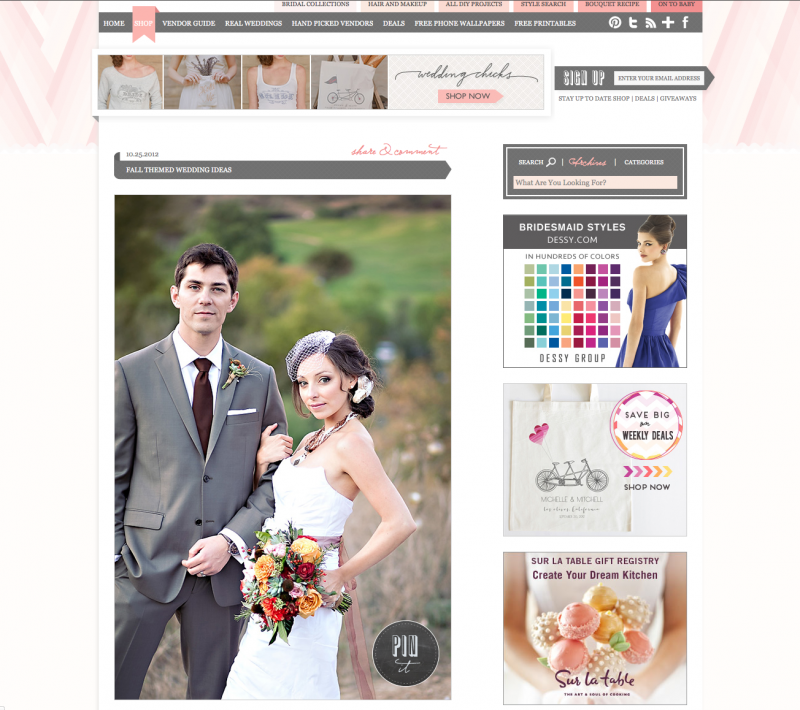 So I could not be more thrilled to see the images from their wedding featured on the popular bridal site, The Wedding Chicks, today (nearly one year later)!! So fun! Check out the fabulous feature HERE! It will surely put you in a cozy Fall mood!